MapleStory 2 Closed Beta 2 Announced... Sort Of? 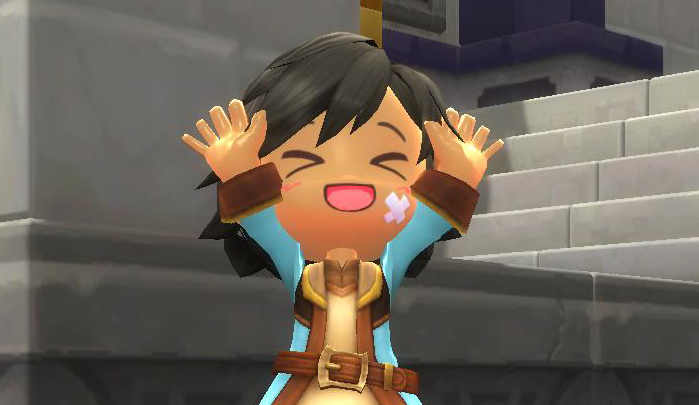 In an announcement posted on their website today, MapleStory 2 developers Nexon have finally broken their long silence since the end of the first closed beta for the game and have announced that there is going to be a second closed beta test, we just don’t know when it’s going to happen. In the announcement, Nexon address why it is they want to have a second CB, and the reason they have given is that they simply want to stress test the servers by doubling the amount of people they invite to this second phase of testing. As well as increasing their capacity, Nexon go on to state that several changes to the game have been made in response to player feedback, but don’t go in to any specifics as to what these changes are. There will be more ways to get accepted into Closed Beta 2 which include: website sign ups, key giveaways, a new web activity event with special rewards, and upcoming Founder’s Packs purchases. I can’t say that I’m all that surprised that Nexon want to jump on the ever-popular founder’s pack bandwagon, and I sincerely hope they will do their utmost to avoid any potential cries of “Pay to Win” in the contents of their packs. Are You Hyped For MapleStory2's Next Test Phase? I’m curious to see exactly what the changes are that they have implemented, and very eager to check out their founder’s pack contents and pricing. What about you? Are you hyped for MapleStory2? Did you play the first CB? Will you play this coming one? Do you just not care? Leave a comment below or join in the discussion on the MMOByte Community Discord Server.